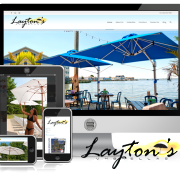 Layton’s umbrellas is proud to announce our new 2015 website. Our new website is fully mobile and tablet friendly and provides our clients with an in depth look at all of our products and services. Using responsive technology will allow our online presence to reach everyone across the globe on any platform. We have also created our new website so that images can be seen in hi-resolution and specification sheets can be viewed and downloaded. We hope you enjoy our new website, stay tuned as we publish news, events, and specials during the 2015 year.